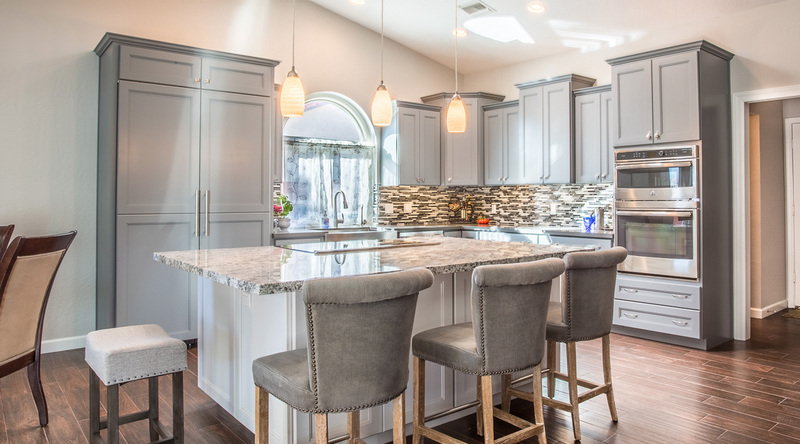 Latitude 33 Contracting is a full-service, general contractor specializing in kitchen and bath renovations, whole home renovations, and commercial tenant improvements. We take our client's lifestyle dreams from concept to completion by offering full 3D design and rendering for you to fully visualize your remodel before work even begins. We subscribe to no standardized design process. We believe in working with our clients to build their dream living and working spaces. 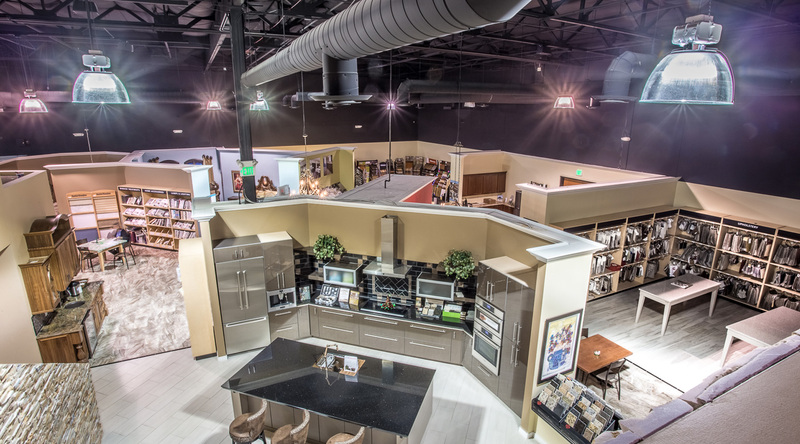 Our strong relationships across our team of specialty vendors and subcontractors allow us to deliver the highest level of quality and craftsmanship at competitive pricing. If you’ve been considering changing your space into your dream space, we’d love to speak to you. 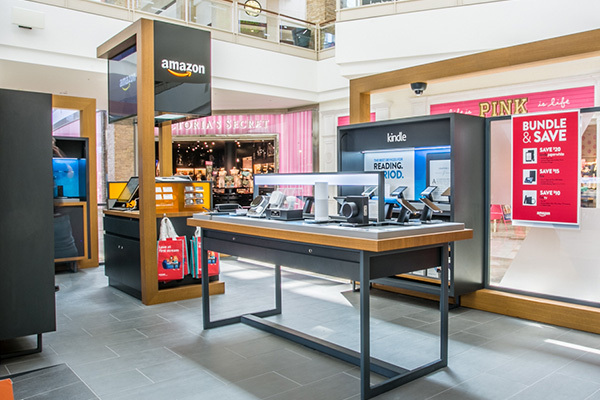 We worked with Amazon's contracting team to bring a stunning kiosk to Chandler Fashion Square mall. The final product is on brand and engaging. From boxed in and stuffy, to bright, airy, and brick. 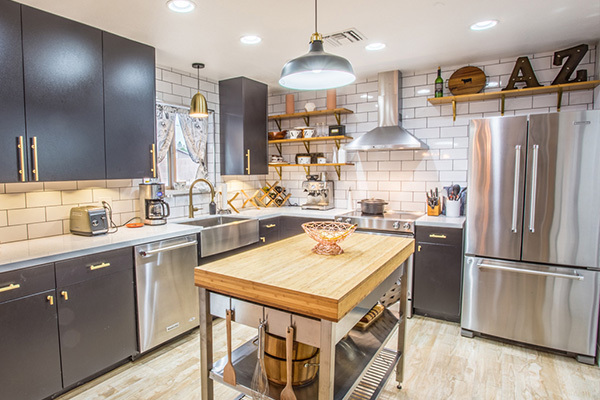 This kitchen was a complete transformation and features stunning industrial touches. 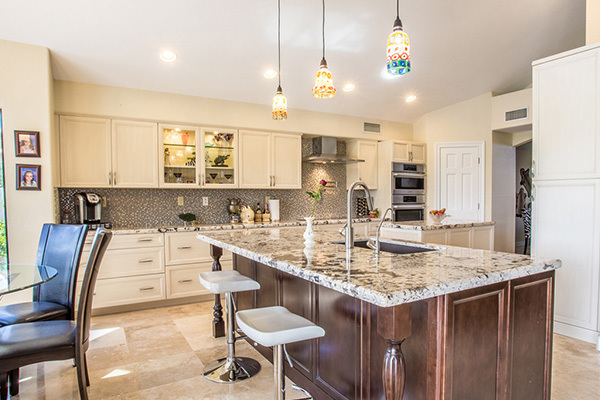 This redesigned kitchen lets in the endless natural light of the golf course behind the home. The new, airy bathroom just adds to the flair. 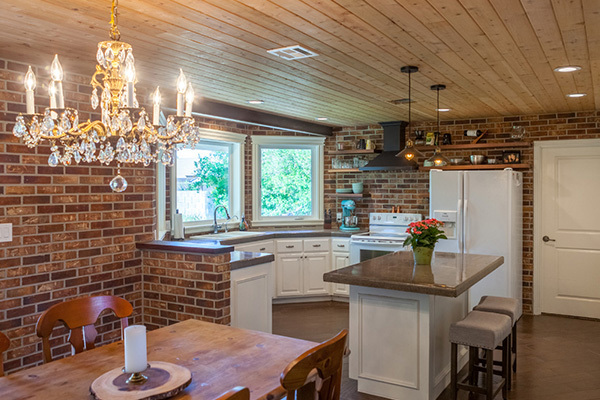 From the brushed bronze finishes, to the functional cabintry, this kitchen remodel isn't just beautiful and modern, it's truly useful. 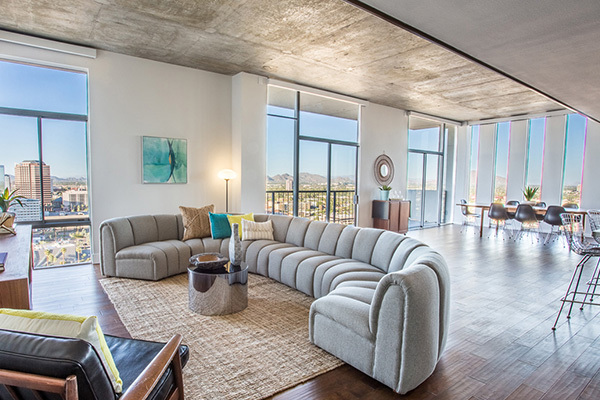 A stunning, penthouse condo in Downtown Phoenix. Meticulously remodeled to highlight it's endless views of the entire Valley. Thanks so much for all your work. I really do feel that you listen to your customers, which is so important! All of the workers who came were very professional and pleasant to have in my home (again, important!) I will absolutely call you for any and all work I have, as well as recommend you to everyone. My husband and I were wanting to update our 13 year old house and were referred to John of Latitude 33 Contracting. He gave us a quote after our first meeting within a few days. Throughout the process he was very good at pointing out things we should think about to make a decisions; and even brought by samples from his suppliers to give us options. 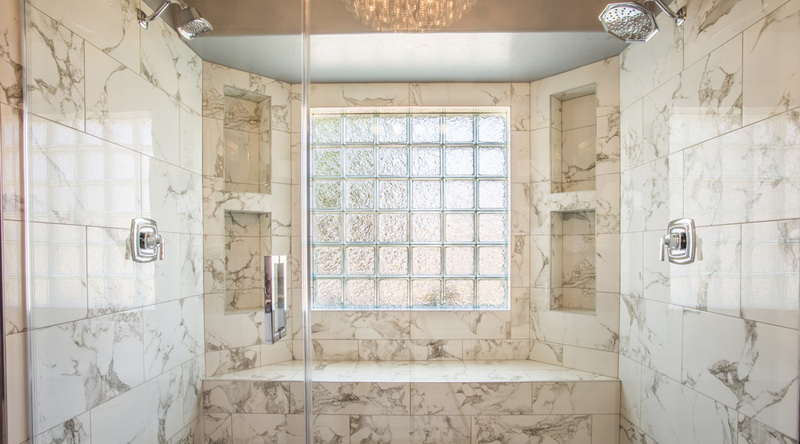 John was very flexible and his willingness to please was very apparent in every aspect of our remodel. He listened to our thoughts and was willing to change things as we went along. He has excellent subcontractors and we were thrilled with the finished product which included quartz counter tops in kitchen, bathroom and a couple nooks; laminate flooring which looks like wood throughout to replace the existing tile; new fixtures in all the bathrooms; painting the whole house inside including all the cabinets and adding cabinets in the laundry room and a bench seat in the master bath. We feel like we're living in a brand new house and it only took 3 weeks from start to finish!!! Thank you so much, John; we love our home and will be referring your company to our friends. When I needed to concrete in my driveway addition to give me more room to park my cars, John was recommended to me -- and in less than a week from estimate, I was parking on the addition. Looks great, cost was right on target and quality as expected. Even my next door neighbor commented on how fast and efficient the work crew was. Bravo. John from Latitude 33 Contracting was referred to me by my realtor and I could not have been happier. I asked for quotes on a shower replacement and an electrical panel replacement. He provided very thorough and detailed estimates which were highly competitive. Being that the house was 45 years old there were issues that came up but John worked through them with his crews and made sure all of the work was done at a higher level than my expectations. He even went above and beyond and worked with a shower door supplier I hired separately while I was out of the country. I highly recommend John and will use him again should the need arise. Latitude 33 has been an amazing company to work with. During the initial consultation, the representative was certain to inquire about my exact needs and expectations regarding the project, and was careful to devise a solution to meet each one. Every step of the way was handled in a friendly yet professional manner, with the highest level of integrity. Latitude 33 is a company I can completely trust and will certainly use again!